Thanks for choosing Discover Hardwood Flooring and Design for all of your hardwood flooring needs. Now that you have invested in the refinishing of your existing hardwoods, or installation of new, there are a few simple steps to help ensure the longevity of your floors. We suggest waiting a full 24-48 hours before re-entry onto freshly refinished floors. Maintaining the correct humidity level in your home: Humidity levels between 35-50% are ideal: All wood has an equilibrium moisture content based on the humidity of the air surrounding the wood. As the relative humidity levels in your home fluctuate, so does the moisture content in the wood. In order to balance the moisture content of your hardwood floors, the humidity level in your house should be kept between 35-50%. Once the humidity levels go outside this range, you may begin to see cupping due to excessive humidity levels, or gapping due to insufficient humidity levels. When moisture leaves the floor to the surrounding air, gaps may appear between boards. These gaps will close as the relative humidity levels increase. Humidity levels should be monitored both in the areas where hardwood flooring is installed as well as in your basement/crawl space. NEVER apply Wax Agents, or products such as Murphy’s Oil Soap, Orange Glow or rejuvenators to your hardwood floors; these types of products will cause future bonding problems, resulting in the need to re-sand. Do not over clean your wood floors. We strongly recommend using Glitsa Clean Hardwood Floor Cleaner to help preserve your new floors. NEVER use any steam cleaning devise on your wood floors. These types of cleaners can cause cupping of your hardwood floors by introducing excessive moisture and heat, overtime breaking down the integrity of the floor finish. If you are a dog owner, make sure that your dog’s nails are trimmed; this will help to avoid scratching and gauging on your hardwood floors. When moving large appliances, make sure to always use plywood underneath. ALWAYS lift and place all heavy furniture, never drag items across your floor. Placing area rugs in high traffic areas, hall ways, entrance ways, and in front of kitchen or bathroom sinks can prevent wear patterns and water damage. When your floors begin to lose their original luster, or begin to show signs of wear, this may in fact be time for an additional coat of finish (Buffing & Recoating). This typically occurs in high traffic areas first. 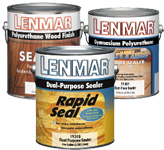 One or two coats of additional finish will give your floors added protection, and may help to avoid the need for complete refinishing. This process should be done every 2-4 years depending on household traffic and wear. This process is contingent upon homeowners using approved hardwood floor cleaning products as indicated above. Always make sure loose dirt and debris is swept up or vacuumed. Never wear high heel shoes or cleats on your hardwood floors, these types of shoes have the tendency to leave indentations and scratches. Place felt pads on all heavy and frequently moved furniture to avoid scuffing or scratching of your new floors. Be sure to wipe up spills immediately using a dampened tack cloth or paper towel. Finally, if damage occurs and repairs are needed, leave it to Discover Hardwood Flooring and Design! Discover Hardwood Flooring and Design offers a number of different finishes depending on your personal needs. 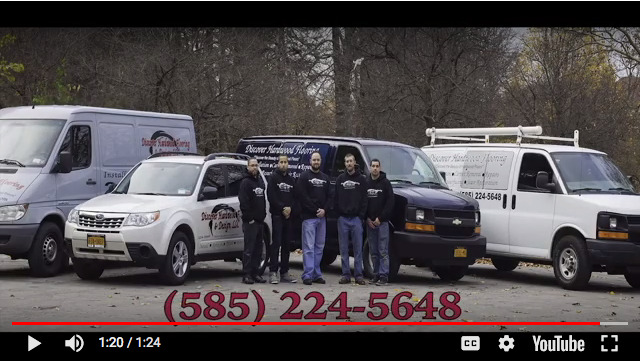 Please do not hesitate to contact us at any time with questions about caring for your floors.